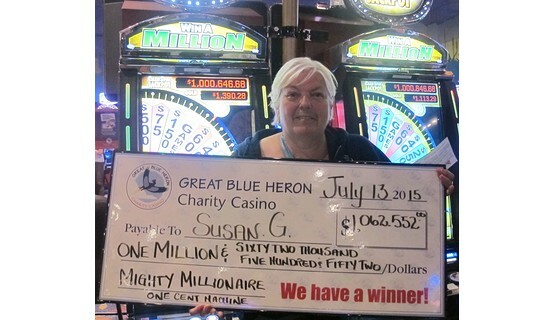 It might have been hot outside, but it was even hotter inside the Great Blue Heron Casino in Port Perry, Ontario, as Susan G. became the casino’s latest Mighty Millionaire jackpot winner. 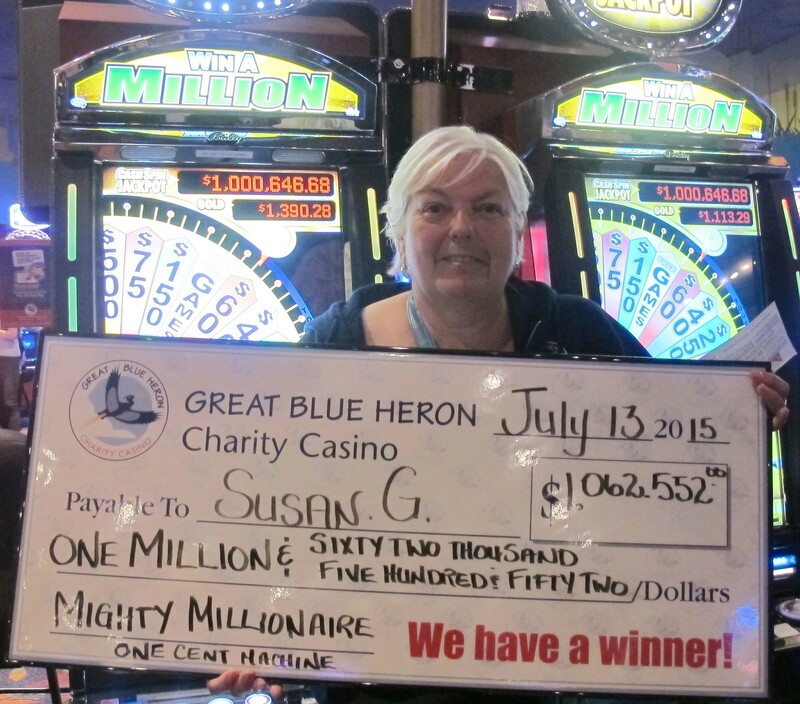 Susan hit the Mighty Millionaire jackpot at the Great Blue Heron Charity Casino on July 13th, winning $1,062,552.00. The Mighty Millionaire progressive is a linked network of slot machines that can be played at various gaming sites across the Canadian province of Ontario. “It is always a thrill when someone wins big at the Great Blue Heron, but when the amounts are life altering, the atmosphere throughout the building becomes simply electrifying. Our staff takes great pride in being part of such a positive experience in a person’s life and we want to wish Susan all our best,” said Great Blue Heron CEO Arnold Block. A flagship operation in Casinos Austria International’s network of casinos around the globe, the Great Blue Heron Charity Casino features 535 exciting slot machines and 60 thrilling table games and is open 24 hours a day, seven days a week. The facility is located just east of Port Perry less than one hour northeast of Metropolitan Toronto, and an easy 30-40 minute drive from Markham, Oshawa, Whitby, Ajax, Pickering, Peterborough and Lindsay. More information on Casinos Austria International’s operations around the globe can be found on the company’s website at www.casinosaustriainternational.com.